Is not good communication about saying the right things and asking the right questions? Was there any reason not to say she knows the newspaper listing has been corrected? Is there a reason why Ann decided not to acknowledge her own knowledge of the change with a simple statement? The idea that sparsity of language equates to efficiency of language is wrong. Perhaps in poetry economy is valued. But in normal everyday communication such checks can be done without much disturbance to efficiency. In fact adding the extra statement may help in avoiding any misunderstanding. And why would not Bob confirm with her that they are talking about the same movie? Why not just reply, ‘You mean Monkey Business? No, I haven’t’. That would save Ann, Bob, the authors – Sperber and Wilson – and us readers a lot of grief and pain. If peace needed a language to convey its meaning and intention far fewer people from around the world would have turned out for his state memorial service. Peace is beyond language and so language comes second to emotion and thought. Once in a while piece of new research will remind you that some things that seem a given are just not. Take for example this paper on a species of earless frogs listen with their mouths. As incredible as that may sound these frogs do indeed react to mating calls. In other words you don’t need ears to be able to take advantage of physical properties of sound. We all know bats use sonar to hunt for prey in the dark and that dogs can hear high pitch sounds we can’t (think dog whistle). Even children can hear sounds that adults no longer can. As a parent I sat through a science show for kids once where they played sounds which my kids nonchalantly reacted to but I couldn’t hear at all. I literally heard nothing. It just goes to show much we rely on the “equipment” for the interpretation of the world around us. The top award though must go to the mantis shrimp though. This animal can see 100,000 shades of colour, ten times more than humans. There obviously must be a need for it to be able to do so otherwise it would have become redundant and have been whittled out of the species through natural selection. But opposite must be true too of the limited range of human-made sounds. A while back I wrote about the Japanese’s inability to distinguish between the ‘l’ and ‘r’ sound. In Japanese this distinction doesn’t exist. It isn’t necessary for their language and communication so they therefore need not either to bother hearing it or producing it. The moral of the story is the sounds within Japanese language more than adequately suffice for their need to communicate what they want to say. There are two lessons here: one is that what counts as sensory perception and faculty is not so clearcut. And second, you don’t necessarily need to hear everthing, that is, our minds filters out things, to separate “the noise from the music” so to speak. And this has consequences for the development and acquisition of language which essentially is a manipulated layer over sound and sight. As humans we can nothing other. If we are then are deficient in some way. And as such we have the ability to see three colours. We have red, blue and green receptors in our eyes to interpret light which is abundant in the space around us (compare our eyes to the Mantis Shrimp). At the same time our eyes have limits we do not notice. They are enough for what we need. Nonetheless they have deficiencies which do not hinder us much but let us get along fine in daily life. Josef Albers’ Interaction of Color highlights the way our eyes perceives colours. The flaws are shown (as only we know how to do so well) to point out just how much we rely on them, how little we notice our visual and other perceptual systems. 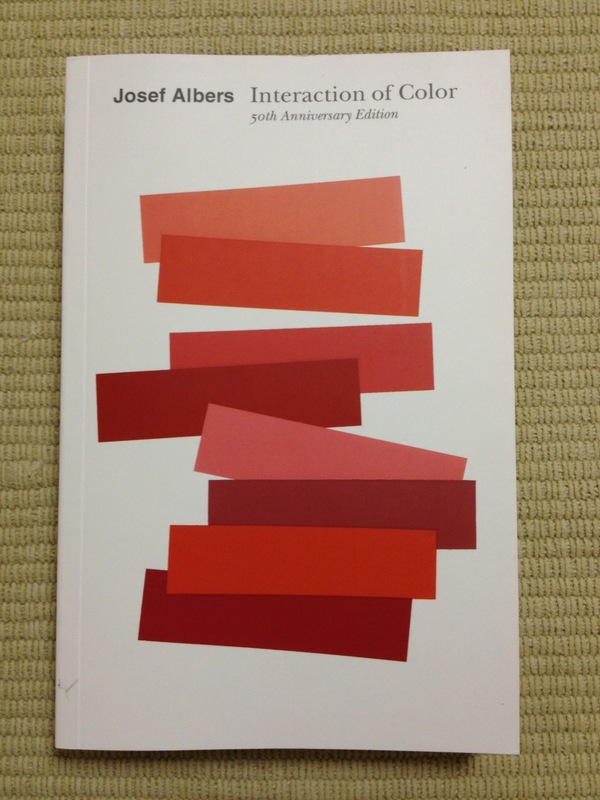 This reprinted 50th Anniversary Edition is a must-read for all interested in cognition. New Yorker magazine cartoon editor, Bob Mankoff, talks about the anatomy of the New Yorker cartoon and what makes them funny. He cites Arthur Koestler’s idea of bisociation as explained in his Act of Creation as a major influence to his thinking in making choices for which cartoons get accepted into the magazine. Koestler’s book is also the starting point for Fauconnier and Turner’s work The Way We Think on Conceptual Blending Theory, an important notion in Cognitive Linguistics. Tom: This is my neighbour, David. David: Hi. I’m his neighbour. Call me Dave. Harry: Harry. Nice to meet you, Dave. David is Tom’s neighbour from Tom’s perspective. So the focus of the conversation is with Tom. But in reality we tend to forget (or in Lakoff and Johnson’s term hide) the fact that Tom is also David’s neighbour. Any piece of dialogue must assume a perspective. If it didn’t they would be difficult to understand. It must highlight some facts and hide others. Sometimes this highlighting and hiding is deliberate. Sometimes it is unavoidable. Western philosophy has a tough time in dealing with the relationship between the body and the mind. In particular, identity has been all too often separated from the physical, all characteristic of ‘being’ invested in the soul. So it is no surprise that we have ignored the function of the fingerprint as part of our evolutionary makeup. Fingerprints have served, so far, as an identity marker only in terms of criminality. But in reality the grip factor of fingertips are a trait for nothing greater than survival and advantage. What is interesting in this article about a recent paper is that orientation of the friction plays a role in real terms for natural materials in nature, not for the artificial materials tested in labs and in human habitats. Every trait, in short, has an evolutionary purpose. We are not above all other species or special in anyway. But we are unique, though, in our ability to delude ourselves and ignore important indicators such as this. Here is a great short video on how we have mapped the structure brain with the latest scanning technology. As part of the a project called the Human Connector Project 1,200 Americans have been scanned in order to analyse differences between behaviour and the brain’s structures. Highly interested to see how language and the mind can finally be mapped for a better understanding with this advance. Two recent books on metaphors worth looking at is Raymond Gibbs and Herbert Colston’s Interpreting Figurative Meaning and Benjamin K. Bergen’s Louder Than Words. Gibbs and Colston approaches metaphorical meaning from psycholinguistics and neuroscience while Bergen looks at meaning from the cutting-edge perspective of neuroimaging. Both are worth a look. The Gibbs/Colston is harder to get through than the Bergen. The latter is definitely an easier read, written for those with little background on the subject.